You may have subscribers. And those subscribers may be opening your emails. But did you realize that with a little bit of easy testing, you could get more opens? And more clicks? And more purchases? 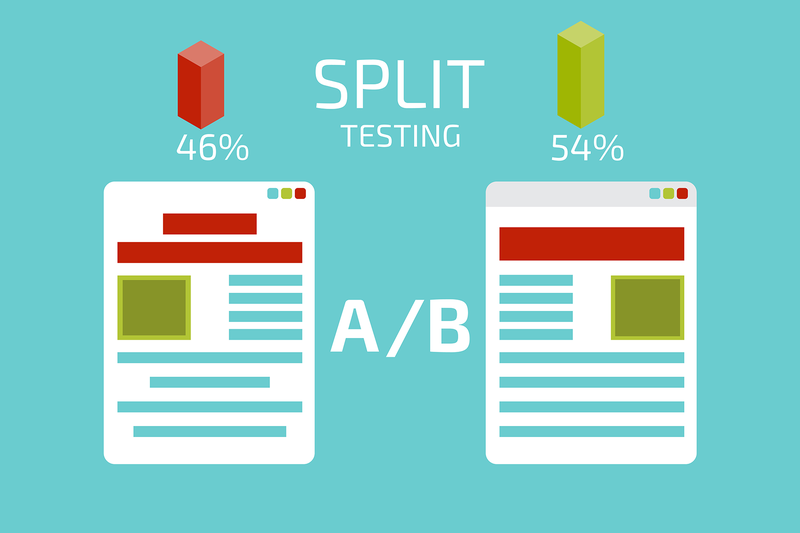 Email marketing split testing, or A/B testing, is an extremely effective way to double your performance. And it isn’t hard to do. Popular email marketing providers like ConvertKit and GetResponse have split testing built-in. Small changes can have huge improvements. And before you start looking at email marketing growth tactics, you want to make sure your emails perform as best as possible. The main point you should focus on is consistency between the two options that you’re testing. Especially after the work you did to improve your email opt-in rate. Does one subject line work better than the other? You want to be sure that what you were testing for is what causes the difference in action. 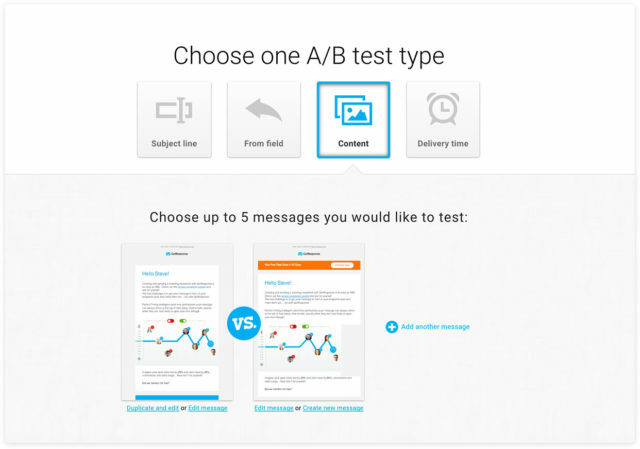 If you’re testing for ad copy and calls to action, then you want your test emails to visually be the same. If not, you won’t be positive which changes actually caused a better result. And then you’re just guessing. Not a good position to be in. Always be sure that what you’re testing for and looking for is isolated. That way you can ensure that the difference in action and conversion rate is due to the one change you made. Results you gain from any test run should be significant enough to scale. Sending a few dozen emails may not represent the same significance on a larger run. If you can’t discern significant results from 500 to 1000 email actions, then you might want to consider rethinking your approach. The end goal of A / B testing is finding a proven outcome that’s worth investing in. Think of it as refining your presentation to more effectively reach recipients. 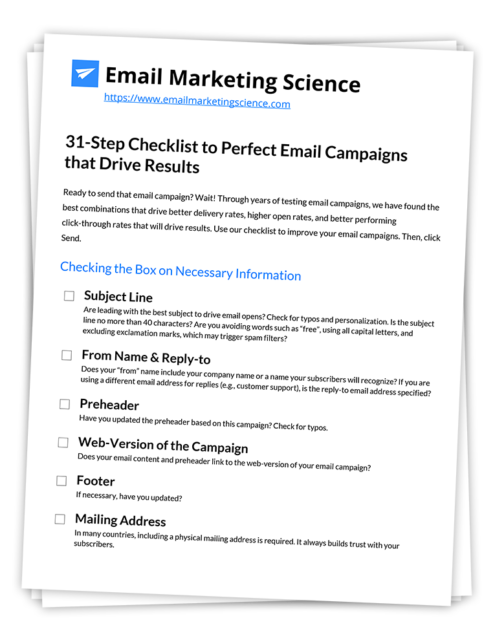 Starting out with an achievable goal is the key to success in email marketing. You need to decide whether you’re looking for a higher open rate or a higher click-through rate. The best A / B testing focuses attention on a single result. Polishing your email marketing subject line typically means you’re looking for a better open rate. Changing graphics is usually to improve the click-through rate. Try them both, but focus on one at a time. Know what you want and take the necessary steps to see results. There are a few different ways to split test. You can do it manually, the old way. Or, you can let your email marketing provider do it for you. I know which way I would choose, but I’ll show you both. You could manually split test your email campaigns. That means you would send one message to one part of your list, and send another message to the other part of your list. Then, you compare the open rates or click-through rates between both messages. A better way to compare the results is by using a statistical significance calculator. This calculator will tell you if the lift you see is caused by chance or if it truly is a better performing message. If you use an email marketing tool, you probably have split testing built in. ConvertKit lets you split test subject lines when you write a new message. GetResponse offers even better control of what you can test, between your subject, “from” name, message or when the message is delivered. If your tool offers split testing, it typically allows you to send two variations to a small portion of your list. Then, it will find the best performing variation and automatically send it to the rest of your list. We prefer letting tools tell us which one performs better. No statistical significance calculator needed. So What Do We Split Test for Email Marketing? There are so many ways that you can make tweaks to your email templates when testing. Where do we start? All of your recipients are real people. Your target-market probably has similar traits that you can tap into with the wording of your email. Feelings are a driving force behind action and buying. Hopefully you understand who you’re trying to get a response from. Testing between a more logical writing style versus a more emotional tone may give you great insight into how your target audience responds. Try to avoid writing headlines in second-person. Don’t remind the reader that they are being pitched. Use generic wording that addresses the recipient in a personal way. Try sticking to phrases like, “ how to improve marketing skills” instead of “ how you can improve your marketing skills.” Think about it from the point of view of the person reading it. Your headline will be more suggestive if it’s worded in a natural way that appeals to a person’s inner monologue. Create a few entertaining phrases to get them thinking and see which one works. Different devices display a various number of characters in the subject line. It usually ranges from 30 to 80 characters on most devices. Having a short subject line is the most common rule of thumb. Having as few words as possible with profitable results is going to be your best bet. Once you’ve found a decent subject line try shortening the phrase between templates to find the most effective wording to use. When you’ve found a good template to use, test the effectiveness of open-ended questions. This approach is especially important if you work in a Business-to-business field. Statements are great once you’ve established a sense of authority in the eyes of your audience. But open-ended questions that engage the reader are powerful. 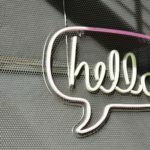 It’s no secret that one-on-one sales professionals constantly use engaging questions to keep prospective buyers on the hook. It’s not that much different for digital marketing. When you can get your target thinking about an answer, then you’ve overcome the hardest obstacle in marketing. Get their attention no matter what it takes. Try one email loaded with questions and another one that’s mostly statements. Find out what works best for your target market. It’s become very popular for campaigns to utilize graphics rather than focusing on text. You shouldn’t just follow the trend that everyone else is doing, but instead try to find the answer for yourself. Try running an A / B test comparing a campaign with lots of images to one that’s more heavy in text. You should be able to find a nice balance that your audience will respond to more readily. There are a ridiculous number of online resources that you can tap into. There’s no reason to go on a whim or try to create a new way of doing things. Look for repeatable results. There’s no shame in trying what’s already been done. Find a model that you can follow and build on that pattern in your own way. A / B testing is a strategy you can follow to find the efficient means of getting a response. Take something you already know works and make it work better for you. Pitching your product in a way that showcases its benefits is an easy way to a good response. Bringing attention to a problem and then offering a solution can be equally powerful. Of course there are downsides to any route you take, but you aren’t looking for perfection. You are looking for action. If you can you use negative issues and paint your product as a solution to those problems, then run a test campaign. It might work out great for you. Lowercase and uppercase letters could actually have an affect on your replies. Try using capitalization in different ways. You could capitalize important words, or try capitalizing your whole subject line. In your emails you should try using bold text, underlining action statements, or utilizing italics alternatively. You want to put emphasis on different points to see how your audience reacts through the actions that they take. People tend to be more likely to use a link when they don’t have a lot of choices to choose from. If you have too many visible links throughout your email, then it may actually subtract from your click-through rate. Try testing your emails with various forms of link-anchors. Study the difference in response to text-links, clickable images, and hyperlinks. Sticking below 3 visible links is usually a good idea. A prospective buyer can really be overwhelmed when they are given too many options. Your potential customers could be more intellectually minded. They might be extremely anxious about details and need to know everything about your offer. Detailed ad copy can improve trust between the buyer and you. Others might be more curiosity driven. It could be beneficial to be a little bit more mysterious and let that curiosity turn into a click. You won’t know what your demographic finds appealing until you test. If you have a decent amount of leads to test from, then you should divide them into separate groups. This way you can see if your email campaign is more productive depending on specific group traits. You can single out individuals based on the information that you know about them. Target individuals based on location, their occupation, their age or based on how you acquired the lead. You don’t necessarily need to make great changes to your template. See how your potential customers act and try to narrow down the nuances between the groups that you created. Subject lines that customers see in their inbox are often what your email is judged by. Getting the most out of your first impression is important. It can be tempting to be somewhat misleading in order to increase the open-rate, but open-rate isn’t everything. Typically you’re going to be looking for some kind of response or action as a follow-up. Misleading a potential customer can drive complaints and get your message marked as spam. That’s not good because it may mean your message ends up in other people’s spam folders. Always try to be as honest as possible while enticing a recipient to open your email. Keep in mind that it’s okay to build anticipation or curiosity in your subject line too. 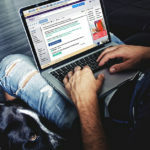 You be the judge of whether your headers might be mistaken for dishonesty, or if they plainly communicate to the recipient a clear representation of an email’s contents. Walk that fine line and get the best of both worlds through proper testing. Compare templates that generate curiosity to those that aren’t so mysterious, then you’ll be able to define what your leads take offense to. Emojis break up the inbox. And they can lead to better open rates. But some readers have grown tired of seeing so many emojis. Look at the gift emoji used in the email from IFTTT. It stands out from the other emails. But it’s still sitting in my inbox unread. Test including an emoji in your subject line. If it works to drive better open rates, use them. But don’t be surprised if you don’t see any improvement. There are a few ways that you can instill a feeling of trust in prospective buyers throughout your campaign. If your leads include first names, affiliations, or any other personal information, then you should utilize it. Sending an email that includes someone’s name or business might be far more likely to become a conversion. Try different setups to see what personalizing methods will give you the upper hand and increase your metrics. Try including clickable text buttons after your call to action. Always have an option for those who might not be interested. This would be a great way to utilize different landing pages for those who are less agreeable. Who wants to pay for shipping? I don’t. I don’t want to assume, but you probably don’t. This tactic is called Confirmshaming. If you look closely, you’ll see them all over the web. Why? Because they work extremely well. If you’d like, you can use them in your email messages to drive click-through rates. Try testing between different negative responses to see if you can flip those who aren’t interested by forcing them to rethink their position. 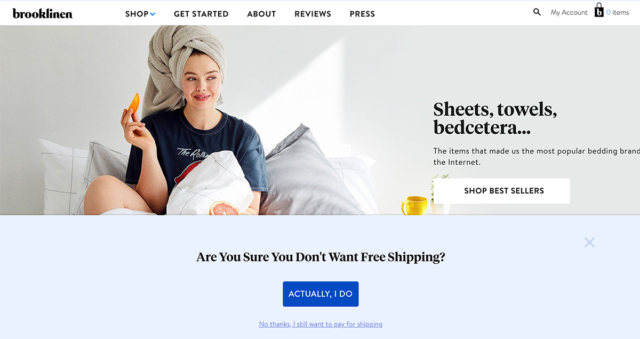 You could also utilize separate landing pages for those who are absolutely interested, and for those who may be more skeptical. 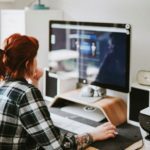 If you want to create powerful and beautiful landing pages, take a look at our recommended landing page tools. There’s nothing new about creating urgency to generate an action from your prospective buyers. You can get creative by incorporating different styles of urgency within your templates. Try sending one test group an email that includes a deadline. With another test group you can include a countdown timer. These response tools can be used for special offers, or limited time situations. Discover what’s going to work best for your leads when you can get the most out of this marketing tactic. This type of testing is simple. You’ve got your text, your call to action, and your target audience where you want them. Send out two groups of emails with completely different images included. Images create emotion and those emotions create motion towards action. Getting the response that you want can be as simple as finding the right picture. Your visuals can greatly influence a person under the right circumstances. Most entrepreneurs are reluctant to come across as too sales-like. But the way you feel about your representation should not be based on your opinions. Everything that you do should be rooted in proven results. The only way you’re going to find a statistical advantage is by taking risks. Don’t neglect to go outside of your comfort zone when A / B testing. Try your hand at both sides of the coin. Compare results from casual pitching that builds interest to full sales pitches. Don’t rely on your own opinion, but rather rely on hard evidence. Do your leads respond to professional tone, or more laid-back casual demeanor? It’s all up to the demographics that you were targeting. Oftentimes casual tone may mesh with private individuals whereas a professional tone could work better towards business owners. You might not always know what your test group likes, but you certainly have the means to find out. Try an ad copy that’s strictly professional and another one that is casual. Pay close attention the time of day and the day of the week that your email campaigns are sent. You can test to find the most selective schedule to reach your recipients. Schedules that may work well for other campaigns and companies might not be best solution for you. Don’t leave your timing up to guesswork or following someone else’s conclusions on the best timing. Use testing to find out what schedules work best for your recipients. This is a handy little trick to reach out to those that you didn’t hear anything back from. Try re-sending your emails with a different subject line 48 hours after the first attempt. Resend to another test group 72 hours after your first attempt. Switch up the time frame and the subject line to find that sweet spot you’re looking for. Knowing the effective follow-up routine after a failure to respond will help you cut losses on leads. Don’t throw away those old leads. Test everything you have at your disposal. 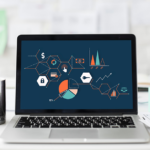 Once you’ve found crucial and proven statistical advantages in your testing, then you should put them to work for you. Scale up in different increments to ensure that your findings are profitable. If you tested with 100 original recipients, then try it with a thousand recipients. If you see similar results in a thousand, then scale up to 10,000. Just be careful when you aren’t certain on your results. Move forward one step at a time and never quit testing your ideas! Facts don’t lie. Great methods rarely fail.